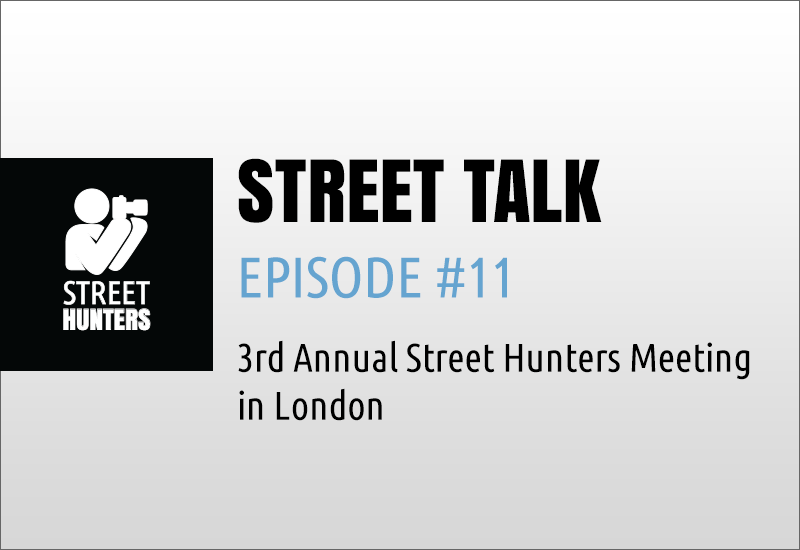 Today we are presenting Episode #11 “3rd Annual Street Hunters Meeting in London”! So, this time we are not sharing a tutorial video with you but since Street Talk is also a vlog, we are sharing an announcement with you instead, and we think you will enjoy it! 3rd Annual Street Hunters Meeting in London update! We will be looking forward to seeing you all this August 25th – 26th and 27th in London to meet, shoot together and have some laughs while exchanging ideas, techniques and exploring the streets of one of the most amazing and important cities of the world! Personally, I look forward to meeting every single one of you! See you all soon!